At Old Town Pharmacy we prepare sterile compounds of medication for IVs. We offer 30-day prepackaging of medications for residential care facilities. Our friendly, competent staff are waiting to answer your questions, and assist you with all your pharmaceutical needs. Se Habla Español! Samantha Hoffman, RPh, received her degree from St. Louis College of Pharmacy. Samantha loves the fact that she is able to work for a family owned company that has a primary focus of patient care and customer service. Every day she is able to come to work and really make an impact in the lives of our patients. "I know at a corporate level I would not have been given such an opportunity to get to know patients on a first name basis and really know them on a personal level like we can here at Old Town." When asked what led her on the path to where she is now, Samantha responded, "I really discovered the answer to the age old question 'What do I want to be when I grow up?' after my brother was diagnosed with leukemia for a second time. We spent a lot of time with healthcare professionals throughout his treatment and that's when I felt my calling to help others the way my brother was helped. Through this experience I fell in love with healthcare and I wanted to be in a career where I could make an impact... for me that was pharmacy." Above all, medication safety Samantha's number one goal, and following that comes patient counseling and making sure our patients are confident with their healthcare decisions. She strives to be always available for any questions or concerns our patients have. At the end of the day, we are patient advocates, so Samantha's overall passion is offering the best service possible. 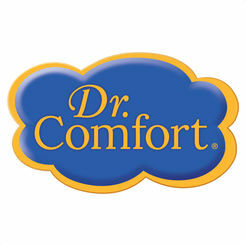 We carry three lines of diabetic shoes at Old Town Pharmacy: Drew, Dr. Comfort, and I-Runner. 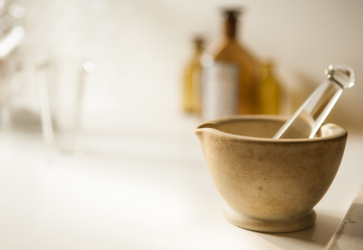 Compounding and sterile compounding for preparation of IVs and home infusions.